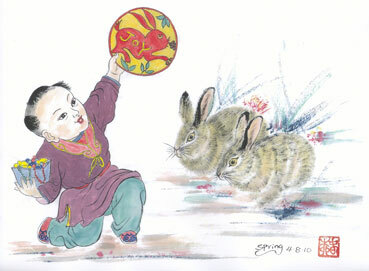 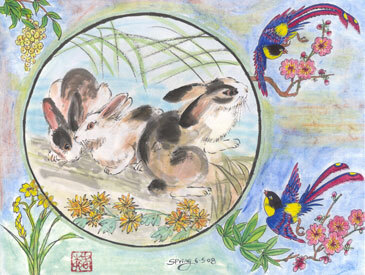 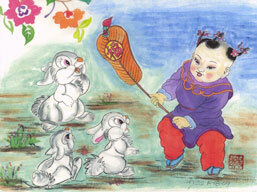 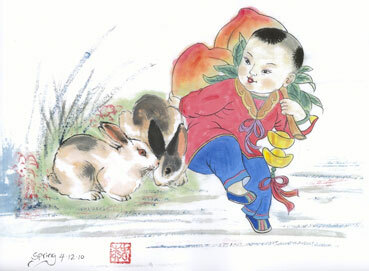 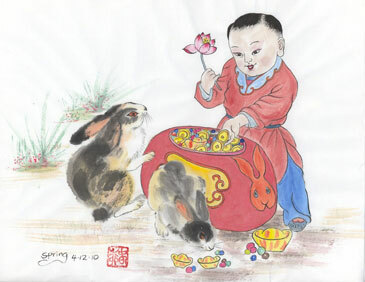 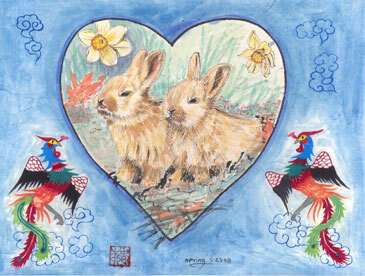 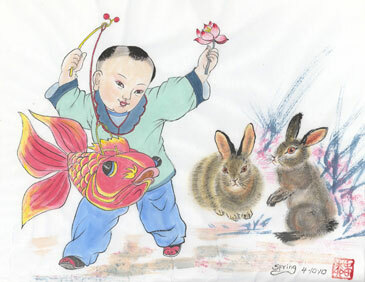 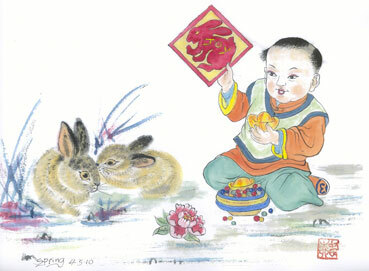 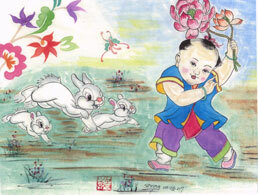 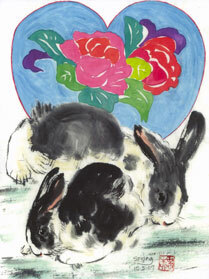 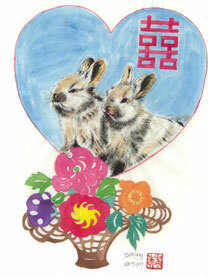 Home / "Year of the Rabbit," Prints, 8" x 11"
People born in the Year of the Rabbit are well-liked and dislike quarrel with others. 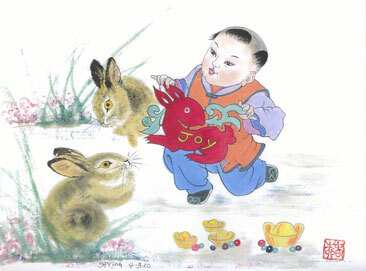 They like to make friends, are polite and happy to help others. 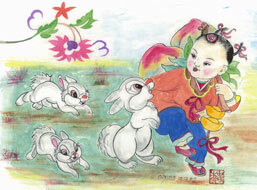 They are born diplomat and cannot bear conflict. 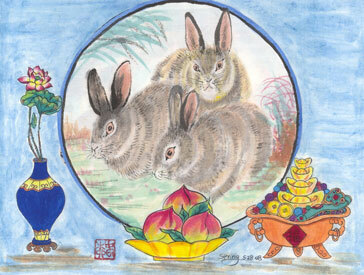 The calmest of the animal signs, Rabbits are social creatures up to the point when their space is invaded. 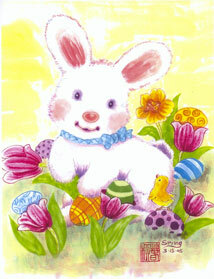 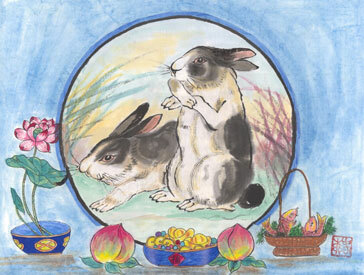 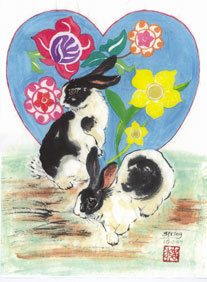 Good communication skills enable Rabbits to enjoy the company of others and they are good teachers and counselors. 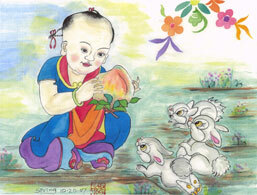 However, their feeling are sometimes fragile and easily misunderstood. 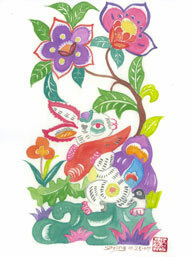 They are very talented in design and creative work. 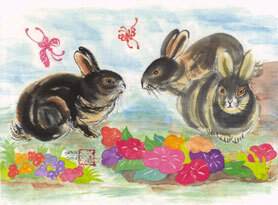 They prefer to keep away from the limelight where possible and to enjoy the finer things of life. 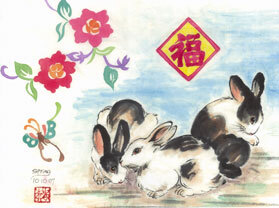 Rabbit Years: 1903, 1915, 1927, 1939, 1951, 1963, 1975, 1987, 1999, 2011, 2023.